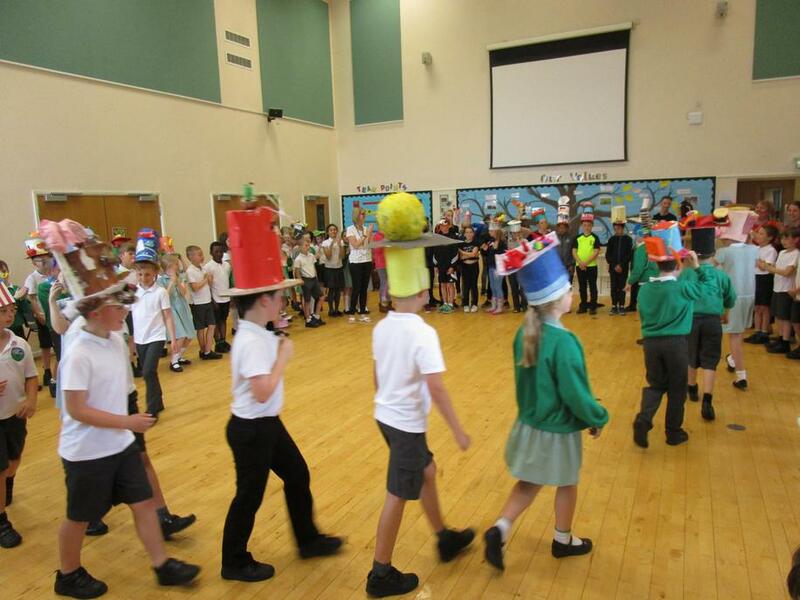 KS2 took part in a Community Arts Project to produce hats for the Mad Hatters Parade and Picnic. As part of the Love Your Local Market fortnight the children created hats in school to represent various market stalls and then paraded in their hats at Abbots Green on Friday 25th May. On Saturday 26th May Mrs Heath, the children and their parents were able to join the parade in the town. The parade went through the town's market and ended in the Abbey Gardens where there was entertainment and a chance to enjoy a picnic.